Democrats in the New York Legislature are again pushing legislation that would require statewide elected officials in New York — including the president of the United States — to disclose their state income tax returns. Assemblyman David Buchwald, of Westchester, and Sen. Brad Hoylman, of Manhattan, have introduced the measure in Albany, where they’ve scheduled a rally at noon Monday at the state Capitol to talk about their effort as a debate over Republican President Donald Trump’s taxes intensifies in Washington. On Sunday, White House chief of staff Mick Mulvaney said congressional Democrats will “never” see President Trump’s tax returns. Mulvaney’s comment came after U.S. Rep. Richard Neal, a Massachusetts Democrat, asked the IRS to provide six years of Trump’s personal tax returns and the returns for some of his businesses. Previous Albany legislation aimed at getting Trump to release his taxes was blocked in the then-Republican-controlled state Senate last year. Democrats now control the chamber thanks to gains in last November’s elections. Buchwald and Hoylman said 90 members of the Democrat-controlled Assembly have signed on as co-sponsors of the legislation. In the Senate, 31 of the chamber’s 63 members are co-sponsoring the measure. Only one Republican in Albany is listed as a co-sponsor of the measure, Assemblyman Andrew Raia of Long Island. “Obviously it is a bill dominated by Democratic support, but by no means is it unique to Democrats to want President Trump to release his taxes,” Buchwald said Monday morning. Statewide elected officials currently aren’t required to release their tax returns, but such officeholders as Democratic Gov. Andrew Cuomo have been doing so for years. 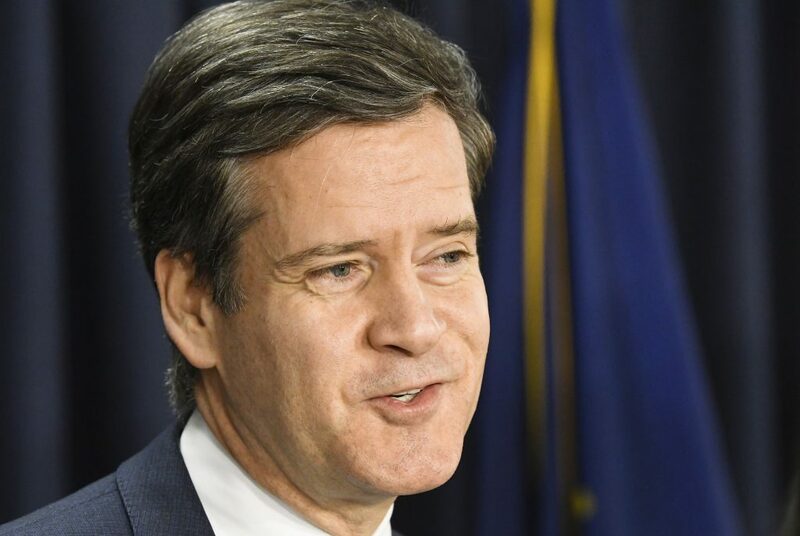 Under the proposed legislation, the commissioner of the state Department of Taxes and Finances could release a statewide elected official’s state tax returns for the previous five years and post the information on the agency’s website. The measure doesn’t pertain to an official’s federal tax return, but because New York is President Trump’s home state and headquarters for many of his businesses, much of the same information would appear on his state tax return.